Suffolk House Antiques | A Valentine's Day present. 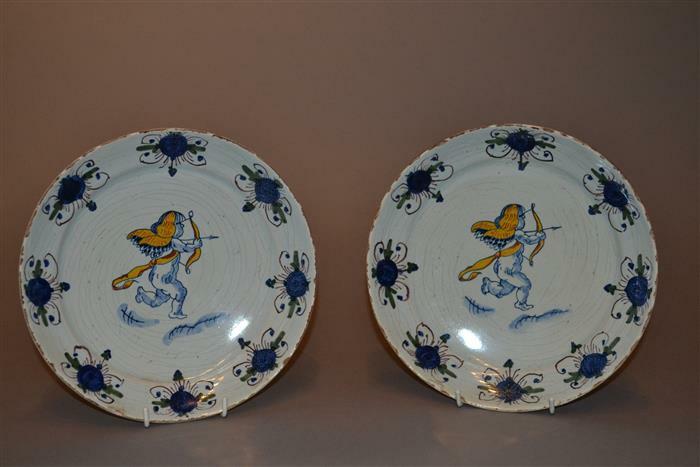 Dating from about 1730, this lovely pair of Dutch delft dishes are decorated with Cupid, the God of Love, shown in typical style with a bow and arrow in pursuit of his prey. They are on the website at £675 but could be £575 this week. Further details can be seen on the Ceramics section.